The following map details the location of all the buildings, departments, and administrative units of Semmelweis University. You may select which category of units you would like to view (i.e. clinical departments, central units, or faculties and non-clinical departments), using the checkboxes located under the submenu in the upper left-hand corner (click on the icon). Use the + and – buttons to zoom in or out. Click on the icons to view the full name and address. 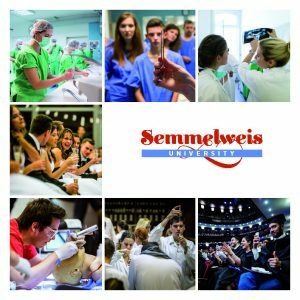 An alphabetised, searchable list of Semmelweis University’s organisational units may be found below the map. 1st Department of Internal Medicine 1083 Budapest Korányi Sándor u. 2/A. 1st Department of Obstetrics and Gynaecology 1088 Budapest Baross u. 27. 1st Department of Paediatrics 1083 Budapest Bókay János u. 53-54. 1st Department of Pathology and Experimental Cancer Research 1085 Budapest Üllői út 26. 1st Department of Surgery 1082 Budapest Üllői út 78. 1st Department of Surgery, Departmental Group of Surgery 1096 Budapest Nagyvárad tér 1. 2nd Department of Internal Medicine 1088 Budapest Szentkirályi u. 46. 2nd Department of Internal Medicine, Departmental Group of Geriatrics 1115 Budapest Halmi u. 20-22. 2nd Department of Internal Medicine, Departmental Group of Infectology 1097 Budapest Gyáli út 5-7. 2nd Department of Obstetrics and Gynaecology 1082 Budapest Üllői u. 78/A. 2nd Department of Pathology 1091 Budapest Üllői út 93. 2nd Department of Surgery 1125 Budapest Kútvölgyi út 4. 3rd Department of Internal Medicine 1125 Budapest Kútvölgyi út 4. 3rd Department of Internal Medicine, Departmental Group of Bone Marrow Transplantation 1097 Budapest Gyáli út 5-7. 3rd Department of Internal Medicine, Departmental Group of Rheumatology and Physiotherapy 1023 Budapest Árpád fejedelem útja 7. 3rd Department of Internal Medicine, Departmental Group of Rheumatology and Physiotherapy, 2nd Remote Unit at the National Institute of Rheumatology and Physiotherapy (ORFI) 1023 Budapest Frankel Leó u. 25-29. András Pető Faculty, Dean's Office 1125 Budapest Kútvölgyi út 6. András Pető Faculty's Student and Career Centre 1125 Budapest Kútvölgyi út 6. Alumni Office 1085 Budapest Rökk Szilárd u. 13. Balassa János Dormitory 1083 Budapest Tömő u. 35-41. Basic Medical Science Centre (EOK) 1094 Budapest Tűzoltó u. 37-47. Basic Medical Science Centre Bookstore 1094 Budapest Tűzoltó u. 37-47. Career Office 1089 Budapest Nagyvárad tér 4. Central Archives 1085 Budapest Üllői út 26. Central Library 1088 Budapest Mikszáth Kálmán tér 5. Central Storage 1089 Budapest Diószeghy u. 21. Central Textile Cleaning and Repair Services 1083 Budapest Balassa J. u. 8. Centre for Conductive Pedagogy (András Pető Faculty) 1125 Budapest Ktvölgyi út 6. Centre for Continuing Education 1088 Budapest Szentkirályi u. 47. Centre of Language Communication 1094 Budapest Ferenc tér 15. Department in Community Dentistry 1088 Budapest Szentkirályi u. 40. Department of Addictology (Faculty of Health Sciences) 1088 Budapest Vas u. 17. Department of Anesthesiology and Intensive Therapy 1082 Budapest Üllői út 78. Department of Anatomy, Histology and Embryology 1094 Budapest Tűzoltó u. 58. Department of Applied Psychology (Faculty of Health Sciences) 1088 Budapest Vas u. 17. Department of Behavioural Sciences 1089 Budapest Nagyvárad tér 4. Department of Biophysics and Radiation Biology 1094 Budapest Tűzoltó u. 37-47. Department of Clinical Ophthalmology 1088 Budapest Vas u. 17. Department of Clinical Psychology 1083 Budapest Tömő u. 25-29. Department of Clinical Studies (Faculty of Health Sciences) 1088 Budapest Vas u. 17. Department of Clinical Studies in Obstetrics and Gynaecology (Faculty of Health Sciences) 1088 Budapest Vas u. 17. Department of Conservative Dentistry 1088 Budapest Szentkirályi u. 47. Department of Dermatology, Dermatooncology and Venerology 1085 Budapest Mária u. 41. Department of Dietetics and Nutrition Sciences (Faculty of Health Sciences) 1088 Budapest Vas u. 17. Department of Emergency Care 1082 Budapest Üllői út 78/B. Department of Epidemiology (Faculty of Health Sciences) 1088 Budapest Vas u. 17. Department of Family Care Methodology (Faculty of Health Sciences) 1088 Budapest Vas u. 17. Department of Family Medicine 1125 Budapest Kútvölgyi út 4. Department of Forensic Medicine 1091 Budapest Üllői út 93. Department of General Dental Preclinical Practice 1088 Budapest Szentkirályi u. 47. Department of Genetics, Cell and Immunobiology 1089 Budapest Nagyvárad tér 4. Department of Hospital Hygiene 1089 Budapest Nagyvárad tér 4. Department of Human Morphology and Developmental Biology 1094 Budapest Tűzoltó u. 58. Department of Laboratory Medicine 1083 Budapest Bókay J. u. 53-54. Department of Medical Biochemistry 1094 Budapest Tűzoltó u. 37-47. Department of Medical Chemistry, Molecular Biology and Pathobiochemistry 1094 Budapest Tűzoltó u. 37-47. Department of Medical Microbiology 1089 Budapest Nagyvárad tér 4. Department of Military and Disaster Medicine and Oxyology (Faculty of Health Sciences) 1134 Budapest Róbert Károly krt. 44. Department of Morphology and Physiology (Faculty of Health Sciences) 1088 Budapest Vas u. 17. Department of Neurology 1083 Budapest Balassa J. u. 6. Department of Neurosurgery 1145 Budapest Amerikai út 57. Department of Nuclear Medicine, Buda Section 1125 Budapest Kútvölgyi út 4. Department of Nuclear Medicine, Pest Section 1082 Budapest Üllői út 78/A. Department of Nursing (Faculty of Health Sciences) 1088 Budapest Vas u. 17. Department of Oral Biology 1089 Budapest Nagyvárad tér 4. Department of Oral Diagnostics 1088 Budapest Szentkirályi u. 47. Department of Organic Chemistry 1092 Budapest Hőgyes Endre u. 7-9. Department of Oro-Maxillofacial Surgery and Stomatology 1085 Budapest Mária u. 52. Department of Orthopaedics 1082 Budapest Üllői út 78/b. Department of Otorhinolaryngology, Head and Neck Surgery 1083 Budapest Szigony u. 36. Department of Oxyology and Emergency Care 1088 Budapest Vas u. 17. Department of Paedodontics and Orthodontics 1088 Budapest Szentkirályi u. 47. Department of Periodontology 1088 Budapest Szentkirályi u. 47. Department of Pharmaceutical Chemistry 1092 Budapest Hőgyes Endre u. 7-9. Department of Pharmaceutics 1092 Budapest Hőgyes Endre u. 7-9. Department of Pharmacodynamics 1089 Budapest Nagyvárad tér 4. Department of Pharmacognosy 1085 Budapest Üllői út 26. Department of Pharmacology and Pharmacotherapy 1089 Budapest Nagyvárad tér 4. Department of Physiology 1094 Budapest Tűzoltó u. 37-47. Department of Physiotherapy (Faculty of Health Sciences) 1088 Budapest Vas u. 17. Department of Picture Imaging and Medical Instrumentation (Faculty of Health Sciences) 1088 Budapest Vas u. 17. Department of Prosthodontics 1088 Budapest Szentkirályi u. 47. Department of Psychiatry and Psychotherapy 1083 Budapest Balassa J. u. 6. Department of Psychiatry and Psychotherapy, Departmental Group of Rehabilitation 1083 Budapest Balassa J. u. 6. Department of Public Health 1089 Budapest Nagyvárad tér 4. Department of Pulmonology 1125 Budapest Diós árok 1/C. Department of Quality Assurance 1085 Budapest Üllői út 22. Department of Radiology and Oncotherapy 1082 Budapest Üllői út 78/A. Department of Social Sciences (Faculty of Health Sciences) 1088 Budapest Vas u. 17. Department of Surgical Research and Techniques 1089 Budapest Nagyvárad tér 4. Department of Transplantation and Surgery 1082 Budapest Baross u. 23-25. Department of Traumatology 1145 Budapest Uzsoki u. 29-41. II/223. Department of Urology 1082 Budapest Üllői út 78/B. Departmental Group of Pharmaceutical Inspection 1092 Budapest Hőgyes Endre u. 7-9. Directorate General of Economic Management 1085 Budapest Üllői út 26. Directorate General of Health Care, Financing and Quality Assurance 1085 Budapest Üllői út 26. Directorate General of Human Resources 1085 Budapest Üllői út 26. Directorate General of Legal and Administrative Affairs 1085 Budapest Üllői út 26. Directorate General of Operations and Technical Affairs 1085 Budapest Üllői út 26. Directorate of Communication and Event Management 1085 Budapest Üllői út 26. Directorate of Controlling 1085 Budapest Üllői út 26. Directorate of Dormitories 1083 Budapest Tömő u. 35-41. Directorate of Economic Networking Management 1085 Budapest Üllői út 26. Directorate of Facility and Property Management 1085 Budapest Rökk Szilárd u. 13. Directorate of Finance 1085 Budapest Üllői út 26. Directorate of Information Technology and Operations 1085 Budapest Üllői út 26. Directorate of Innovation 1085 Budapest Üllői út 26. Directorate of Internal Control 1089 Budapest Nagyvárad tér 4. Directorate of International Relations 1085 Budapest Üllői út 26. Directorate of Investment and Maintenance 1085 Budapest Rökk Szilárd u. 13. Directorate of Nursing Leadership and Health Care Professionals Education 1085 Budapest Üllői út 22. Directorate of Procurement 1091 Budapest Üllői út 55. Directorate of Safety and Logistics 1083 Budapest Illés u. 15. Directorate of Services 1083 Budapest Illés u. 15. Directorate of the Faculty of Dentistry's Dental Training Centre 1088 Budapest Szentkirályi u. 47. Directorate of the Faculty of Dentistry's Dental Training Centre, Library 1088 Budapest Szentkirályi u. 47. European Programme Office 1085 Budapest Üllői út 26. Faculty of Dentistry 1085 Budapest Üllői út 26. Faculty of Dentistry, Dean's Office 1085 Budapest Üllői út 26. Faculty of Dentistry, Secretariat of Vocational and Further Training 1088 Budapest Szentkirályi u. 47. Faculty of Health and Public Services 1125 Budapest Kútvölgyi út 4. Faculty of Health and Public Services, Dean's Office 1125 Budapest Kútvölgyi út 2. Faculty of Health Sciences 1088 Budapest Vas u. 17. Dormitory, Directorate of Dormitories (Erkel utca) 1046 Budapest Erkel Gy. u. 26. Dormitory, Directorate of Dormitories (Hajdú utca) 1131 Budapest Hajdú u. 44. Faculty of Health Sciences, Career Office 1088 Budapest Vas u. 17. Faculty of Health Sciences, Dean's Office 1088 Budapest Vas u. 17. Faculty of Health Sciences, Library 1088 Budapest Vas u. 17. Faculty of Medicine 1085 Budapest Üllői út 26. Faculty of Pharmacy 1085 Budapest Üllői út 26. Ferenc tér Centre 1094 Budapest Ferenc tér 15. Foreign Students' Secretariat 1094 Budapest Tűzoltó u. 37-47. George Berci Surgical Training and Research Laboratory 2053 Herceghalom Gesztenyés út 1. Health Services Management Training Centre 1125 Budapest Kútvölgyi út 2. Heart and Vascular Centre 1122 Budapest Városmajor u. 68. Heart and Vascular Centre, Department of Cardiac Surgery 1122 Budapest Városmajor u. 68. Heart and Vascular Centre, Department of Cardiac Surgery, Departmental Group of Thoracic Surgery 1129 Budapest Pihenő út.1. Heart and Vascular Centre, Department of Cardiac Surgery, Departmental Group of Vascular Neurology 1122 Budapest Gaál József u. 9-11. Heart and Vascular Centre, Department of Cardiology - Heart Centre 1122 Budapest Gaál József u. 9-11. Heart and Vascular Centre, Department of Vascular Surgery 1122 Budapest Városmajor u. 68. Institute for Health Promotion and Clinical Methodology 1088 Budapest Vas u. 17. Institute of Applied Health Sciences 1088 Budapest Vas u. 17. Institute of Basic Health Sciences 1088 Budapest Vas u. 17. Institute of Conductive Pedagogy (András Pető Faculty) 1125 Budapest Kútvölgyi út 6. Institute of Genomic Medicine and Rare Disorders 1083 Budapest Tömő u. 25-29. Institute of Health Diagnostics 1088 Budapest Vas u. 17. Institute of Health Informatics Development and Further Training 1094 Budapest Ferenc tér 15. Institute of Human Physiology and Clinical Experimental Research 1094 Budapest Tűzoltó u. 37-47. Institute of Human Sciences (András Pető Faculty) 1125 Budapest Kútvölgyi út 6. Institute of Mental Health 1089 Budapest Nagyvárad tér 4. Institute of Pedagogy (András Pető Faculty) 1125 Budapest Kútvölgyi út 6. Institute of Pathophysiology 1089 Budapest Nagyvárad tér 4. Korányi Frigyes Dormitory (College for Advanced Studies) 1074 Budapest Hársfa u. 59/B. Korányi Projekt Implementation Unit 1082 Budapest Tömő u. 25-29. Legendus Bookstore 1089 Budapest Nagyvárad tér 4. Mária Hári Library (András Pető Faculty) 1125 Budapest Kútvölgyi út 6. Markusovszky Lajos Dormitory 1089 Budapest Rezső tér 16. MR Research Centre 1083 Budapest Balassa J. u. 6. Nagyvárad tér Theoretical Building (NET) 1089 Budapest Nagyvárad tér 4. Nurse Residences 1089 Budapest Illés u. 15. Népliget Tennis Court 1101 Budapest Vajda Péter út 38. Occupational Health Services 1085 Budapest Üllői út 22. Office of the Kerpel-Fronius Ödön Talent Support Programme 1089 Budapest Nagyvárad tér 4. Oncological Centre 1083 Budapest Tömő u. 25-29. Park Maintenance 1083 Budapest Korányi Sándor u. 2/B. Physical Education and Sports Centre, Sports Grounds 1103 Budapest Zágrábi út 14. Public Servants' Committee 1094 Budapest Ferenc tér 15. Radiation Protection Service 1096 Budapest Ernő u. 7. Rector's Office 1085 Budapest Üllői út 26. Regional, Institutional Scientific and Research Ethics Committee 1091 Budapest Üllői út 93. fsz. 2. School of Ph.D. Studies 1085 Budapest Üllői út 26. Selye János Dormitory 1085 Budapest Üllői út 22. Semmelweis Advocacy Association 1094 Budapest Ferenc tér 15. Semmelweis Health Care Service Ltd. (SEK) 1094 Budapest Tompa u. 26/B. Semmelweis Publishing and Multimedia Studio Ltd. 1089 Budapest Nagyvárad tér 4. Semmelweis Skill Centre 1096 Budapest Ernő u. 7. Semmelweis University's András Pető Kindergarten 1125 Budapest Kútvölgyi út 6. Semmelweis University Association of Friends 1089 Budapest Nagyvárad tér 4. Semmelweis University's Kindergarten 1089 Budapest Elnök u. 4. Students' Scientific Association 1089 Budapest Nagyvárad tér 4. Students' Union (HÖK) 1089 Budapest Nagyvárad tér 4. University Pharmacy Department of Pharmacy Administration 1092 Budapest Hőgyes Endre u. 7-9.